Our profile of alums Sean Carr ’93 and Matt Belknap ’93 centers on ART19, the company they cofounded to solve the problem of making podcasts, typically a free medium, profitable. With this online exclusive, we want to take this opportunity to highlight some other CA alumnae/i involved in podcasting, and their recent work. Sarah Green Carmichael ’00 hosts the HBR IdeaCast, the weekly podcast of Harvard Business Review. Each episode features an interview with an expert, with subjects ranging from office politics to strategy to work-life balance. Green Carmichael is a senior editor at HBR.org, which won the 2016 Webby Award for Best Business Website. The IdeaCast has been nominated for two National Magazine Awards under her tenure. 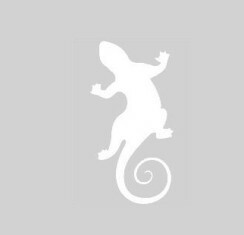 We like this interview of Green Carmichael’s with Wharton professor Adam Grant, author of Originals: How Non-Conformists Move the World, on the science of standing out — a book that was included in the CA faculty-staff summer reading program. Listen to more episodes of the IdeaCast. 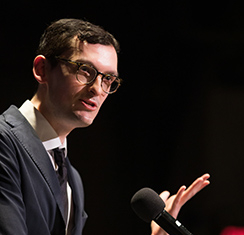 This weekly podcast from Vanity Fair senior writers Josh Duboff ’04 and Julie Miller explores the ins and outs of pop culture, entertainment, and celebrity. The first episode just came out on November 17, 2016. In this inaugural episode, the hosts discuss Prince Harry’s new girlfriend, Megan Markle; the arrival of Dream Kardashian; and their dream Beyoncé beach date. 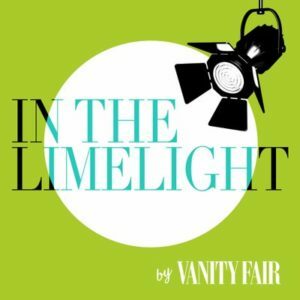 Listen to more episodes of In the Limelight as they’re released. This seasonal podcast about the Supreme Court is recorded each week that the Court is is session. Cohosts Dan Epps ’00, an associate professor of law at Washington University in St. Louis who clerked for Justice Kennedy in October Term 2009, and Ian Samuel, a Climenko Fellow and lecturer on law at Harvard Law School who clerked for Justice Scalia in October Term 2012, discuss upcoming cases, break down the Term’s major (and not-so-major) arguments, and analyze opinions. This holiday episode takes on the election, recaps the last of the November Court cases, and previews the December calendar. 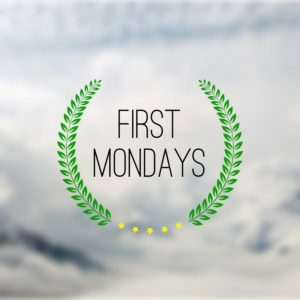 Listen to more of First Mondays. Julia Hanlon ’10 is the creator and host of Running On Om, a podcast that explores questions of the mind, body, and spirit connection. Running On Om features over 200 interviews with innovative individuals from a wide range of backgrounds, from authors, musicians, athletes, and actors to entrepreneurs, yogis, and chefs. Hanlon believes that everyone has a story worth sharing; she has traveled throughout the United States, Europe, and Africa to capture long-form, in-person podcast conversations. The podcast delivers encouragement, insight, and strength for personal growth and transformation. Notable guests have included actor John Malkovich (episode 132), musician Trevor Hall (episode 164), author and NPR correspondent Steve Almond (episode 147), and Olympians Haile Gebrelassie (episode 89) and Kara Goucher (episode 114), among many others. Don’t miss Hanlon’s interview with professional runner and fellow CA grad Tyler Andrews ’08 (episode 153). Hanlon identified this recent episode that may be of interest to the CA community and those involved in education in light of the election and gender issues. Kyleanne Hunter, former attack fighter pilot — the first female in this role in her Marine Corps squadron — scholar, activist, and athlete, discusses gender equality in the military and beyond. Read the Running on Om blog and listen to more podcast episodes. Sarah Koenig ’86 is a producer at This American Life and host and executive producer of Serial, which attracted an unprecedented listenership and is widely credited as having revolutionized the podcasting industry. The podcast follows one true story over the course of a season. Millions downloaded the first season of Serial and were captivated by Koenig’s ability to pull back the veil on investigative journalism — as well as by the legal intricacies involved in the murder conviction of the show’s subject Adnan Syed. In July 2016, Syed was granted a new trial, which he is still awaiting. If you haven’t yet listened to season two, here’s the first episode in the saga of Pfc. Bowe Bergdahl, who slipped away from a remote U.S. Army outpost in eastern Afghanistan, was captured by the Taliban. After his release five years later, he was charged with desertion. Learn more on the Serial website. For a taste of the podcast, here’s a Thanksgiving-themed episode. The essay “Who’s Walking Who” by Steve Macone is one of Lazaridis’ favorites. Lazaridis’ debut novel, The Cover House, was published by Ballantine Books in 2013 and was a Boston Globe bestseller and a Target Emerging Authors pick. Her work has appeared in publications including ELLE, Narrative Magazine, Salamander, New England Review, The Millions, The New York Times online, and The Huffington Post, and has earned her a Massachusetts Cultural Council Artists Grant. Having taught English at Harvard University, Lazaridis now teaches at Grub Street in Boston, where she also maintains an audio blog called Sound Quality. She is the founding editor of The Drum. Learn more about Lazaridis at her website and hear more of The Drum. Annie Robinson ’05 created and curates two oral narratives projects: On the Road to Recovered: Voices from the Eating Disorder Recovery Community and Inside Stories: Medical Student Experience. They provide a platform for individuals to share their stories of navigating challenges, and help cultivate community in often-isolating circumstances. With On the Road to Recovered, Robinson gathers inspiring stories from individuals recovering from eating disorders — misunderstood and stigmatized struggles that affect nearly 30 million individuals in the United States alone. Participants dissipate shame through sharing as they encourage others who are struggling with similar disorders. Inside Stories is an oral narratives project that invites medical students to share what often goes unspoken about their experiences in medical school in audio form. These narratives provide a means of personal healing, self-realization, and empowerment and cultivate community among students, as well as an inside look for listeners into the sometimes private, challenging, or confusing experiences of medical training. A programmer for Riordan Brothers Integration in Boston, with experience in the residential, commercial, and higher education sectors, Hope Roth ’99 hosts a podcast about automation programming called The Floating Point. She also writes for the rAVE Blog Squad. In this latest episode, Roth is joined by tech writer Johnny Mota for conversation about construction, lights, and more. Tune in for tales of awkward moments on job sites. 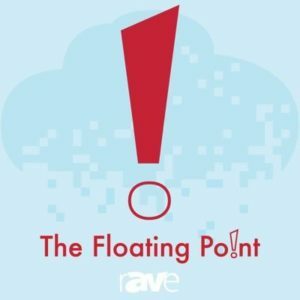 Listen to more episodes of The Floating Point. Are you a CA grad involved in podcasting? Or do you know of someone who is? Let us know about your work at magazine@concordacademy.org.